This front desk marketing program includes 3 video lessons on how to convert high-value new patient leads into dental appointments. 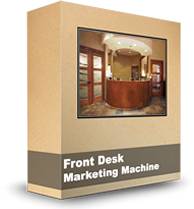 Improving your front desk marketing skills is one of the most effective ways to increase your profitability, and it’s a strategy that costs nothing to implement. If you don’t have an account, sign up below.